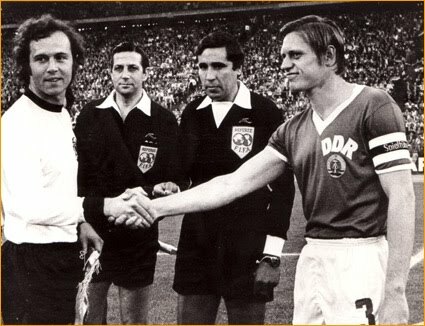 Big Game today in the round of 16 in the 2010 World Cup... and who do we, as Americans, like to win this game? America, of course! We know that this is a Ghana squad that essentially knocked the United States out of the tourney four years ago, but this is not the same United States. The momentum behind this club has that special destiny feel about it that you only find once every, well in the case of the USA soccer team, 80 years (their only place in the World Cup was in 1930, finishing third in the first Cup ever held). We like the moneyline in this case for a straight up USA win. Fellow Americans, enjoy the clip above and hope for more of the same heroics from the Algeria game. We try not to be partial to any teams (never a good betting strategy), but go USA! We hate to say we told you so when it comes to the United States winning their group in the World Cup for the first time since 1930, but hey, we told you so! We even told you how! And at +400 odds and with a thrilling ride, we're sorry if you still didn't pick them to win it. We did all we could! With England beating Slovenia, the United States needed a win over Algeria to advance. It wasn't looking so good as the game went into extra time scoreless, but Landon Donovan changed that in the 91st minute and the rest, as they say, is history. We're having a pretty successful run at the World Cup so far, so stay tuned as we go to the round of 16 with more 2010 World Cup Picks and analysis. In all of our World Cup Fever (more on that later), we have barely had time for our annual NBA Mock Draft. Well, fortunately we have come down from the high of correctly picking the United States to win Group C (more on that later), meaning it's time for our 2010 NBA Mock Draft (more on that now). 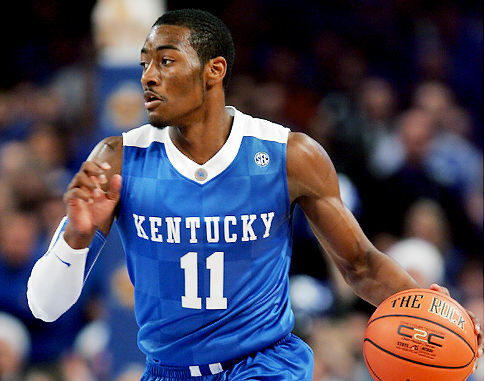 Let's get straight to our picks, headlined by Kentucky's John Wall to the Wizards. As always, we guarantee our mock draft to be 100 percent accurate at tomorrow night's NBA Draft. Check back for more coverage of the 2010 NBA Draft and 2010 World Cup here at Stock Lemon! 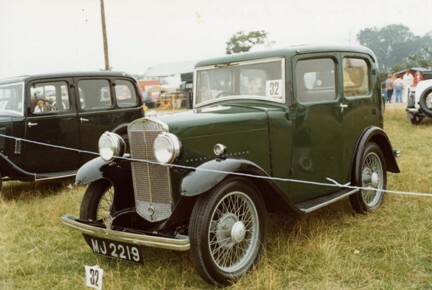 The name was changed in 1933 to the Super 8, the car had always technically fallen into the 8 hp taxation bracket, and all cars gained the Mk II chassis. The body range was further reduced to the two door saloon, pillarless saloon and four seat tourer. This was the last year for the car. 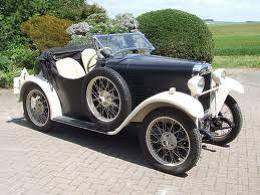 Triumph had already launched the Super 9 in 1931 and this car was destined to be the replacement. By now you've surely seen the United States get robbed in their game against Slovenia yesterday, and while it's a shame that the Americans' third and probably game winning goal was mysteriously disallowed, nobody is talking about the real victims in all of this--the bettors! We correctly picked an American victory yesterday, as we correctly predicted a tie against England, however their comeback was stopped short by the man in the middle. Fortunately for us, we bet the Americans at -200 rather than taking the more appealing moneyline, thus rendering a draw as a push rather than a loss. Still, this has to go down as the worst beat of the World Cup thus far, especially considering how late in the game the apparent non-goal occurred. Add to that the fact that it was a roller coaster game for betters regardless. Still, we hope to rebound and once again correctly predict the outcome of the USAs Group C matchup against Algeria on Wednesday. Our first Free AFL Pick didn't go as planned, but thankfully, there's more of the war indoors for us to bet on. And this time, we're betting on the Arena Football League in the league's biggest stage... The NFL Network! While the AFL is no NFL, it's still football. And in the midst of all the futbol action of the World Cup, we are ready for some hard hitting action. So after the World Cup action tomorrow morning, be sure to catch the action indoors at night. 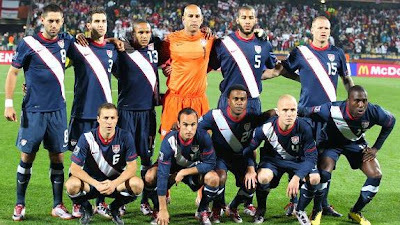 This is the squad that gave us our first winner in the 2010 World Cup, and we're banking on the United States to get it done again--this time, with an outright win. The Americans were able to draw even with England thanks to a lucky strike by Clint Dempsey and some rock solid goalkeeping by Tim Howard. The current group leader, Slovenia, poses some threat tomorrow, but not enough to overtake the Americans (who we predicted to win the group). We'd be remiss if we didn't throw this up. A great find by the folks over at The Bucky Channel, whose World Cup coverage has been second to one (our own), this Lego video reenacts the goals scored in Saturday's England vs. United States showdown--which we correctly predicted to end in a tie. The highlights of the video are that 1. it includes the audio feed from the game, which is brilliantly called by the announcers and 2. there are no visible Lego vuvuzelas in the very calm stands. Enjoy the video, and enjoy our continuing coverage of the 2010 World Cup. So far, we've correctly predicted the outcome to the biggest game in the 2010 World Cup when the United States and England played to a draw. Not a bad start to betting the Cup. 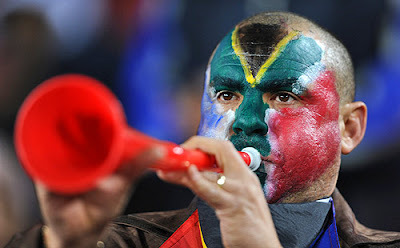 And yes, we are tooting our own vuvuzela horn. Our next task? Ride the home country. We still don't think South Africa gets out of the group, but we'll hedge our bet against the home nation (who, by the way, has always advanced to the round of 16 in the history of the World Cup) by picking them to beat Uruguay tomorrow. Uruguay is already predicting a victory for, well, themselves. But no so fast. By the power vested in the vuvuzela, we declare the South Africans winners of tomorrow's showdown. And once again, our win will net us more than we lay. We could take the moneyline for +200, but the extra +75 is worth sacrificing to save ourselves from the ties that have so far plagued the cup. 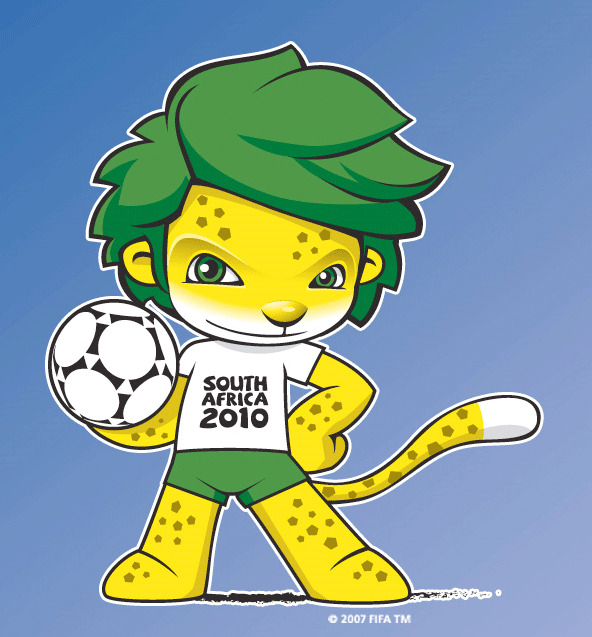 We like South Africa in this spot for a variety of reasons, not the least of which are home field advantage and Uruguay's incompetence since 1990 (last time they've won a game in the Cup). This is the host nation's best chance to get a win, and we just have a hard time seeing them winless in their group. Good luck and stay tuned for more betting analysis and picks on the 2010 World Cup! A Revolutionary Tie... We Told You So! It might not have been how we drew it up, but it was still a draw as we predicted. The USA and England ended at 1-1, making us 1-0 on the individual games that we've actually picked. At +325 for the tie, we picked a good game to win. And with that, we will stop gloating. But be sure to follow us throughout this 2010 World Cup for more winners and great betting analysis. A range of body styles were available, all made in house. 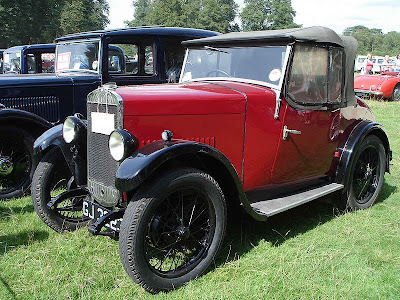 The cheapest model was a two-door four seat tourer, followed by a de-luxe tourer with two coloured body, a two-seater with dickey seat, a two-door saloon, a fabric bodied saloon and at the top of the range, a coachbuilt saloon. Gordon England could also supply a special fabric bodied saloon with sliding roof. 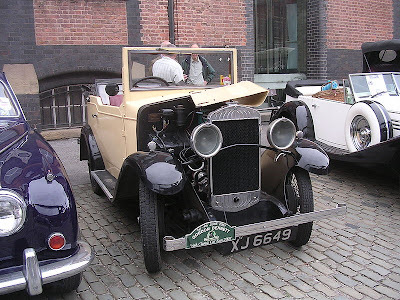 The chassis was also supplied to other coachbuilders for fitting their own bodies. 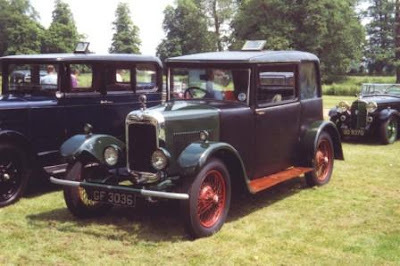 Prices ranged from £113 for the chassis to £190 for the Gordon England saloon. On test the car could reach just over 50 mph (80 km/h) and return 40 miles per imperial gallon (7.1 L/100 km; 33 mpg). 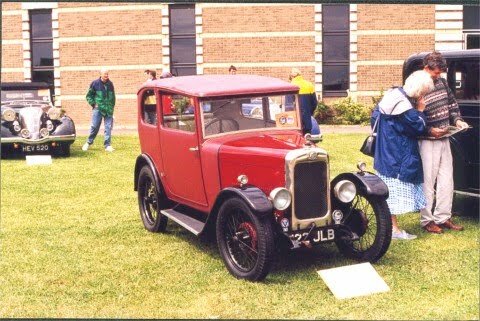 For 1929 a new body style was released called the Special Sports with pointed tail and there was also briefly a supercharged version with the engine capacity reduced to 747 cc and reputedly able to reach 80 mph (130 km/h) but they were expensive at £250 and few seem to have been sold. 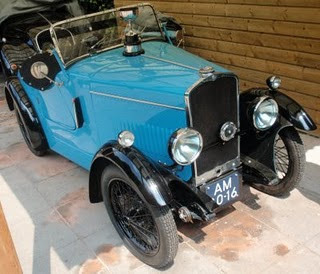 Also in 1929 Donald Healey entered a standard car in the Monte Carlo Rally, starting from Berlin but failing to finish, getting stuck repeatedly in the snow in France. Undetered he tried again in 1930 and was the first British car to finish and seventh overall, an amazing result in a car with a top speed of 50 mph (80 km/h). 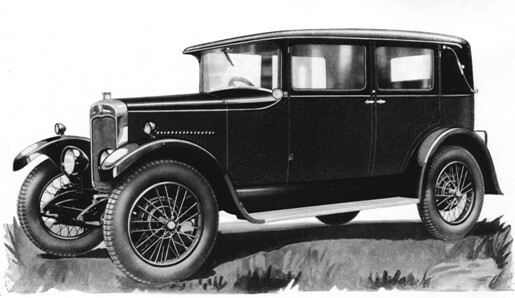 Even more body styles appeared in 1930 when a two-seat coupé, a de-luxe fabric saloon and amazingly, a landaulet appeared. Wire wheels became standard replacing the artillery type that had been used on some versions. The extensive range was simplified for 1931 with the deletion of the fabric saloons, landaulet, coupé and Special Sport but a Gnat sports tourer and Tickford bodied saloon were added. With the deteriorating economic climate a further rationalisation of the range was carried out in 1932 with the cars being designated Mark I for the tourers and Mark II for the saloons. A pillarless saloon joined the range. The car's track grew from 42 to 43.5 inches (1105 mm), the rear springs were changed from quarter to semi elliptic on the Mk II Saloons and the de-luxe models got a four speed gearbox. 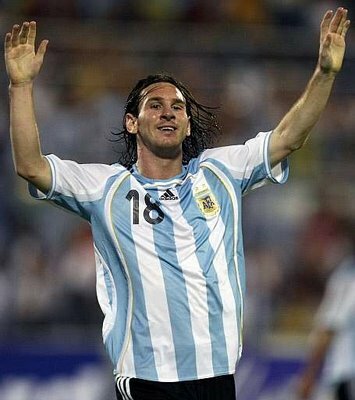 We like Argentina to win the 2010 World Cup. Why? Two words: Lionel Messi. So naturally, we are going to try and take advantage of Messi's talent by winning some money on his performance during the World Cup. At 10/1 odds, we like Messi to score the most goals in this year's cup, largely due to the fact that he'll play in the most games (well, tied for the most). Messi has a knack for the ball around the goal, and this World Cup, he should put it all on display. The chance to win 10 times our bet on something that reflects our 2010 World Cup prediction is too good to pass, much like Messi, who will pass instead of shoot every time he touches the ball. 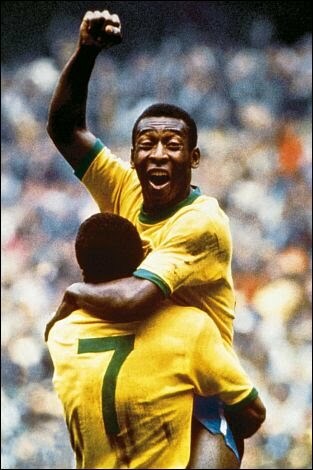 What will be the time of the first goal? In the prop bet for the time of the first goal in the entire 2010 World Cup, we like it to happen in the 29th minute or before. With all the excitement of the World Cup in South Africa, we think the host nation will get a goal on Mexico early in this one. We're not saying they'll win, but we do think they'll score early. And hey, if they don't Mexico can always knock one in on their way to a 5-0 win. The second Revolutionary War will take place on Saturday, with the United States of America taking on Mother England to open their Group C schedules in the 2010 World Cup. Had we been alive in 1976, we certainly would have bet on the results of the first Revolutionary War (and probably would have laid the chalk on Great Britain, like fools!). Fortunately, we get our chance to bet on the England-USA matchup in 2010. While we won't be betting on every game this World Cup, this high profile matchup is definitely worth the attention and the hype it is receiving. Obviously, we all know how this went down in the 1950 World Cup, the only time these two squads met previously in a cup. The American's makeshift team knocked off the English, and have been waiting 60 years for the chance to prove it was no fluke. That chance is Saturday, and they will prove their point--kind of. The best bet in this one, in our view, is a draw. At +325 odds, you can really cash in on this one by pounding the tie figure. If you're feeling adventurous, the Americans at +450 is a fun little bet to make, but as we said in our Group C preview, we see a tie here and a group win by the USA based on point differential. So why will they tie? Really, it's simple. The United States has A LOT more to play for in this one. While this is the biggest game in the history of U.S. Soccer, the Brits are yawning at the competition in the group and are already looking forward to their inevitable advancement. Some might argue that it is more important for the United States to beat England than it is to advance out of the group. The USA will have to be nearly perfect on the pitch to get the win, and will definitely have to match and exceed the physical play of their rivals, to earn the victory. In our view, it's unlikely they'll come away with the win. A tie, however, is a different story. The key to this one is making sure to come out with intensity right off the bat. If the Americans can get an early goal, or even show a significant attack, we like the chances at a 1-1 or even 0-0 draw. So there you have it. The biggest soccer game in the history of the United States, and you can tell your grandkids that you bet on it. If you're not pumped for the big game yet, brush up on your Schoolhouse Rock and get ready to win some cash on Revolutionary War II. 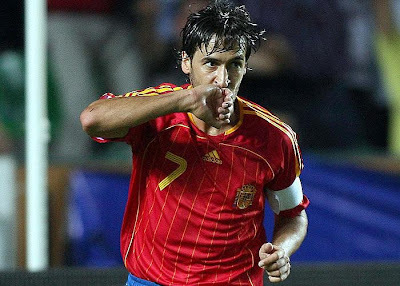 It's time for our 2010 World Cup champion pick. Who will it be? At 4/1 odds, Spain and Brazil are the front runners, but cross them off the list. How about Italy, last year's champion, at 14/1 for the repeat? No thanks. 2006 Runner-up France at 20/1 won't be sniffing the Cup championship this year either. We could go with a homer pick, the United States at 50/1, but while we picked the Americans to win Group C, we aren't that big of homers. Their Group C rival, England, is sitting on 8/1 odds, but we predict more struggles for the English when it comes to dealing with the expectations. All you can expect is an upset from them in the round of 16. In our view, it's down to Netherlands (9/1) and Argentina (6/1), and we're going with the Argentines. Injury concerns have us frightened on the Dutch front, though you can expect them to be one of the final four teams remaining. So there you have it. Your 2010 World Cup champion, according to the new and improved Stock Lemon gurus, will be Argentina. But hey, there's only one way to find out--playing the games! 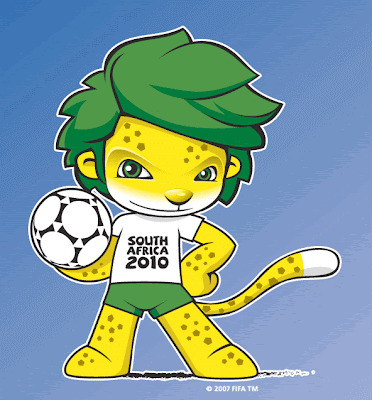 Kick-off of the 2010 World Cup is tomorrow in South Africa, and you can bet that we will have plenty of coverage throughout! Welcome to the New and Improved Stock Lemon! If you've been hitting F5 all night waiting for us to pump out some more 2010 World Cup coverage (coming later tonight, for you nighthawks), you've probably noticed some changes throughout the night. As you can see, we have implemented a new template here at Stock Lemon for the first time since our inception in December of 2007. We feel like the layout, while not drastically different, gives us a cleaner overall look. The use of charcoal as a background color for the text makes the site more readable, while the addition of a left sidebar gives us the potential for more content in the future, including polls and other links. But enough about how we feel about it, how do you feel about the changes around here. Shoot us an e-mail at stocklemonblog@gmail.com. Keep in mind that we will continue to provide betting analysis on all major sports and sporting events, and will remain your main squeeze on stocks and sports wagers, even if we pretty much never talk about stocks. Ad for those of you sick of the ads on the page, or those who don't like that they get top billing above our posts--you can do something about it! Just send us a donation using the paypal icon on the left and we will be one step closer to not having to put our Adsense in such prime location. Hey, we gotta eat! So let us know, and in the meantime, check out our 2010 World Cup coverage, with much more to come as the first kick is now hours away! Development of the new car had started in 1925 when Arthur Sykes, who had been with Lea-Francis was given responsibility to design a new small car. 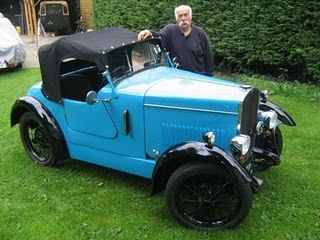 Amongst those he recruited to help him was Stanley Edge, who had been the original draughtsman for the Austin 7. The car was launched in September 1927 and was 6 inches (150 mm) longer and 2 inches (50 mm) wider than the Austin. 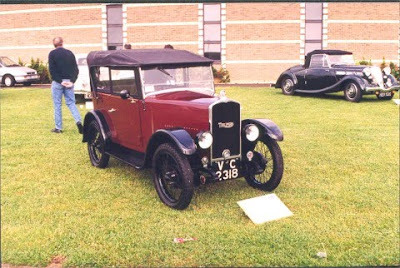 The new 832 cc 4 cylinder side valve engine, mainly designed by Harry Ricardo, had a stroke of 83 mm (3.3 in) and bore of 56.5 mm (2.2 in) and unlike the Austin had a three bearing crankshaft with pressure lubrication and monobloc crankcase made from cast iron. 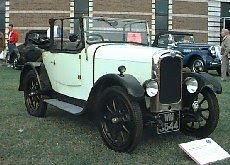 (The Austin 7 had a two-bearing crankshaft and the cylinder block and crankase were separate castings.) The car followed its Triumph predecessors by having Lockheed hydraulic brakes, but now they were internal expanding in 9.5 in (241.3 mm) drums and so less affected by water then the older external contracting type. The handbrake operated on the transmission. The chassis had a rigid front axle supported by half elliptic springs and a live rear axle with Austin 7-like quarter elliptics allowing the chassis side members to finish ahead of the rear axle. The three speed non-synchromesh gearbox was mounted in unit with the engine and transmitted power to the worm gear final drive via a torque tube. The electrical system was 6 volts. As we mentioned earlier this week, our 2010 World Cup analysis comes with a twist--a contest involving the pictures that we post of the teams we predict to win each group. Your challenge is to name the player or year or date or whatever makes the posted picture in each one of our group breakdowns significant. You can see them all in the right hand column. Send in your answers to stocklemonblog@gmail.com. The first person to correctly guess each one (and come on, there are some easy ones in there) will receive a prize courtesy of Stock Lemon. Clearly, the Spaniards are heavy favorites in this group, and, well, why wouldn't they be? Aside from the obvious talents of Spain, look at that group! Who is going to contend with them? We think, minor upset alert, that Switzerland will give them their biggest test. Chile has the capacity to pull of a couple of upsets, though they certainly won't beat Spain. Which leaves games against Honduras and Switzerland, and we like the Swiss in that spot. Upsets are rare in the World Cup, so you have to pick your spots, so Swiss it is. Hopefully the soccer team can draw upon the professionalism and experience shown in another Olympic sport of theirs in the below clip (you might have to skip a minute to get to the Swiss). That concludes our group analysis of the 2010 World Cup, but we are far from done. Plenty of 2010 World Cup prop bets and even individual matchups will follow throughout the Cup, so keep coming back to Stock Lemon, your home for the 2010 World cup. World Cup. World Cup. World Cup. We want so badly to pick upsets just for the sake of picking upsets, but as you can see from the odds above, they are pretty appropriately assigned. 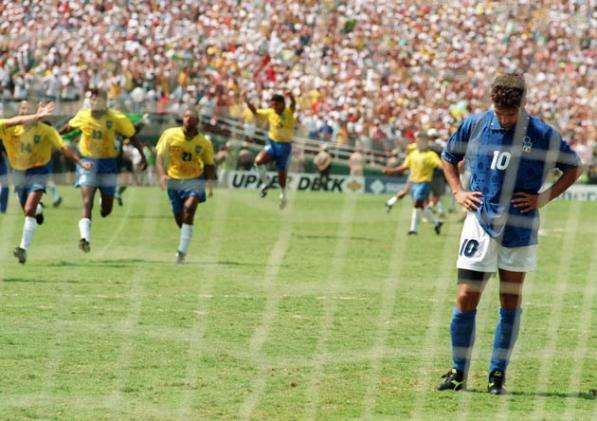 We simply cannot bet against Brazil to take Group G, even if they don't play with their usual flashy style. This year, we will probably see the most complete team effort by the Brazilians, and while it might not be their most exciting squad, it will certainly be one of their best in terms of playing team soccer. So, yes, no upsets again. Our standings reflect the odds, but with good reason. And so, we are down to one group left before we throw some 2010 World Cup prop bets your way. The 2006 World Cup champs figure to have one of the easiest roads to a group win. We like the Italians to win all three of their matchups in Group F play, with or without key Italian stars Mario and Luigi. As for the rest of the group, we think it's pretty much a crap shoot, possibly without the "shoot." Paraguay will probably rebound from their last World Cup performance and advance by default, because Slovakia and New Zealand don't pose much of a threat. Once again, not much on the upset front, as we have these teams finishing in order of their odds to win the group. Either way, feel good about betting Italy--hard--to win this group. Why I thought twice before personally boycotting BP gas stations... make your own decision. What does the oil spill and a discussion on a "boycott" of BP have in common with an insurance agent's blog? Not much... But, I wanted to put my two cents in because the "boycott BP!!!" fad is really picking up steam. - 11 people lost their lives. - Hundreds of workers and their families will live with the memory of that tragic and frightening day for many years. - Thousands of local businesses will be detrimentally impacted by the effects of the spill reaching the coasts of Alabama, Mississippi, Florida, Louisiana, and beyond. - The list can go on. We don't even know the full effects of what is to come. I own a small insurance agency in the state of Alabama. Oil reached our shores last week. Twitter, Facebook, the Blogosphere, and websites are going crazy about the idea of boycotting "BP." Well, the main way to boycott the company is perceived as not patronizing their 11,500 gas stations in the U.S. Yes, BP attributes most of it's profits from the sale of gasoline and oil based products. But, who owns the gas stations? BP Gas Stations are owned by individuals. The average station owner has 1 location. They make a very small profit - just a few pennies - off of every gallon of gasoline that is sold. They make their total profit on the items that are sold inside the store (snacks, drinks, food, tobacco, etc). I know several gas station owners in Shelby County, Alabama and my great grandfather started a wholesale business that supplied gas stations with goods for around 80 years... there are very tight margins in this business and it can be very hard to make a profit. BP gas station owners had nothing to do with this tragic event. They are small business owners who live in our neighborhoods and depend on the sale of their products inside the store to make their living. If I boycott a BP gas station, I am boycotting a local business owner who did nothing wrong. This is why I thought twice before boycotting BP gas stations. You can make your own decision. As a small business owner who can't always control things 'from the top' I hope that people want to do business with ME and help me provide for my family. We're about to drive 180 miles round trip for a birthday celebration for my grandmother. I'm going to stop at my local BP to fill up. In case you haven't noticed, we are currently in the process of providing picks and analysis on the 2010 World Cup. With each group prediction, we have included a picture relevant to the team we pick to win each respective group and we will continue to do so. With only a few groups remaining, we think we've given you enough time to look over some of the first photos and alert you to the fact that this is all part of our first ever Stock Lemon contest! The first person to correctly identify all of the group prediction photos will receive an authentic Stock Lemon prize! 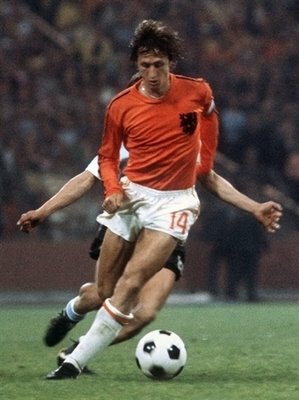 We're looking for either the name of the player(s) in the photo or the game or at the very least year that the photo was taken from (mostly, this applies to the picture for Group D). Once we have completed our group predictions, e-mail us your answers for the picture contest at stocklemonblog@gmail.com. If you're answers are correct and you are the first to submit them, you will receive a prize courtesy of Lemmy (possibly similar to the picture posted above)! So far, we've forced you to lay a lot of chalk if you want to pick the correct group winners for the 2010 World Cup, and in Group E, that won't be any different. Let's take a look at our Group E odds. We've mentioned that we aren't sure how big of an impact home field advantage will have for the African nations, but in this case, we do think it will give Cameroon an edge and help them to advance to the second round, a minor upset over Denmark. The Netherlands, Dutch and Holland will be the top teams in this group when all is said and done. What's that? They are all the same? Who knew? No doubt, the Netherlands will look like three quality teams wrapped into one by comparison to this group, and that's more a testament to their skill level than it is a knock on the competition. Although, it is still a knock on the competition, especially the Japanese. Although the video below shows their unique practice methods, Japan will have more fond memories of World War II than they will of their group play performance this year. They are simply outmatched. Again, the upsets haven't been huge so far, but that's kind of how the pairings worked out this year. Big upsets in group play are relatively rare anyway, but this year in particular seems to have at least one and oftentimes two teams that are clearly a cut above the rest. In this group, the orange-clad Dutch are the runaway favorites. With Group E in the rear-view mirror, we will continue to go right down the alphabet with our 2010 World Cup Betting analysis in the coming days. Keep coming back early and often as we keep giving you the World Cup group winners! 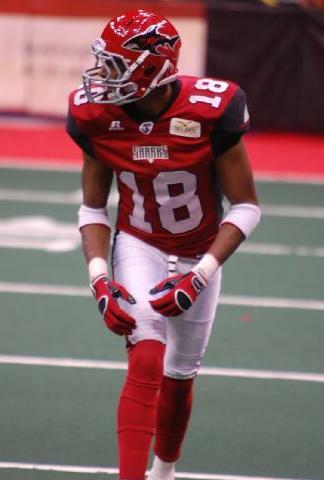 Our First Ever Free Arena Football League Pick! We've stayed away from betting on the reformatted Arena Football League, mostly because it includes such premier teams as Bossier-Shreveport and Tulsa. But, the bottom line is, it's June and we miss football. And so, with that, we present to you our first ever Free Arena Football League Pick. The new AFL has made it to about the midway point without folding, so we think it's finally safe to bet on it. 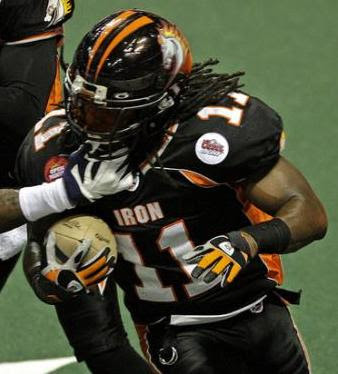 Home field advantage is important in the arena game, but on paper we just don't think the Rattlers match-up with the Iron, despite a two-game win streak. So there you have it. Look out for possibly even more AFL Picks if this goes well, because like we said, we really miss football. The World Cup is coming up, which means we're going to continue to bang out our group predictions (as well as much more). Today is D-day for the Cup, as we give our betting advice on, you guessed it, Group D.
Speaking of game locations, Ghana does have a home field advantage but they just aren't quite at the point yet where they could take down the Serbians, and they certainly won't be taking the Germans to task either. Australia figures to struggle mightily in this group, but there are worse things you can do with your money than bet on the Aussies to win Group D.... like burn it. For more on the World Cup Brackets or the World Cup Betting Odds, check out Doc's Sports. They've got some insightful World Cup Soccer picks to check out now that you've read our Group D analysis. Stay tuned for more 2010 World Cup Betting analysis here at Stock Lemon as the opening kick nears! Fifteen - 1926 to 1930, 14.9 h.p. 2,169cc 4-cylinder side valve engine with 3-speed gearbox. 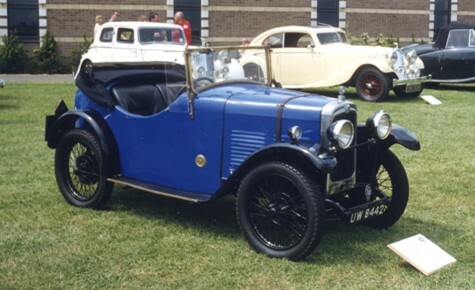 Built to the same dimensions as the 13/35, but with a larger capacity engine, the Fifteen was the last of larger conventional cars built by Triumph, before they concentrated on small and then sportier cars. We have recorded 11 and two survive with their original style bodywork. 5 body styles were available. Maratona de ilustrações relacionadas a tatuagem. Oficina de desenhos artístico temático. Serão quatro encontros aos sábados, das 14 as 18 Hs, no mês de junho, na CCMQ. Com o objeivo de realização prática de ilustrações relacionadas a Grafia de Tatuagens; Os quatro encontros terão teor principalmente prático, com abordagens teóricas específicas em cada encontro, bem como avaliaçao coletiva e exercícios de construção gráfica, atrelados a produção de cada participante, desenvolvendo matrizes para tatuagem artesanal. A oficina não necessita de materiais especiais, a não ser papel e lápis B, trabalharemos sem tinta, aquarelado ou outras técnias que não o desenho a grafite seco. Sob a orientação do Tatuador Profissional e Arte-pedagogo Vinícius Gueterres da Rocha, vamos compor Desenhos e Ilustrações relativas a arte da tatuagem, e também estabeleceremos uma postura crítica em relação a metodologia e resultado referente a estas obras gráficas, compreendendo melhor a iconografia, estilos, e influencias do desenho na tatuagem, bem como será identificado a presença da imagem da tattoo nas produções, visuais contemporâneas, Artes, Design, Cinema, Propaganda. Atenção: A oficina abordará o desenho relacionado a tatuagem, mas não é um curso de tatuagem. Meu nome é Maria e esta tatuagem foi feita à cerca de um mês e representa uma estrela celta. Representa as três faces da mulher: a anciã, a mãe e a virgem. Usado como talismã, esse objeto atrai as três principais qualidades femininas – ou seja, a intuição, a ternura e a beleza. É também um símbolo de graciosidade e movimento. Beijos.